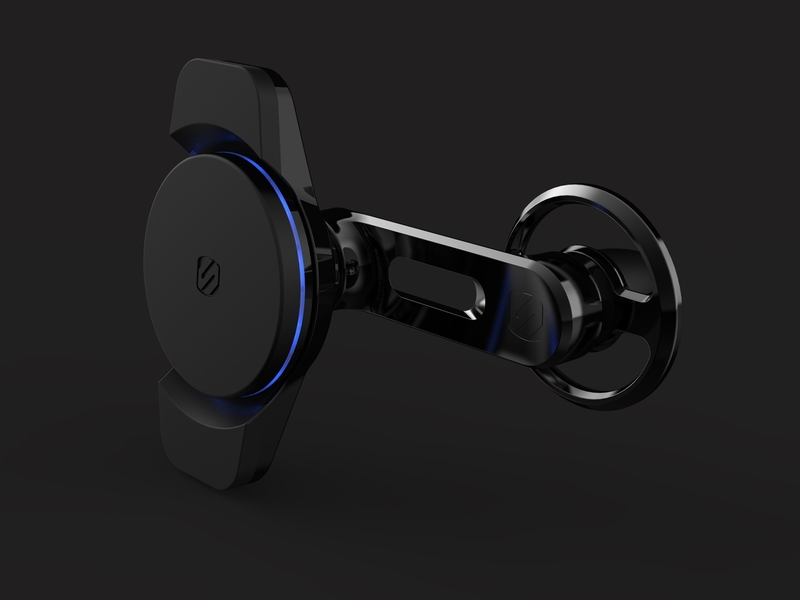 Today at CES 2019, Scosche announced the MagicMount Charge3, the latest iteration of its popular in-vehicle charging and mounting system. The new version builds on Scosche’s award-winning MagicMount design and leading Qi Wireless charging technology to produce a device that’s literally cooler and offers even more functional advantages. Available in four different mounting options — vent, dash, window, and double-pivot — MagicMount Charge3 is built from premium materials, including high-impact polycarbonates that are designed to complement a vehicle’s interior. MagicMount Charge3 is also certified by the Wireless Power Consortium and delivers up to 10 watts of charging power, supporting full charging speeds for Apple’s latest slate of iPhones along with Samsung Fast Charge devices. Device-safe Neodymium magnets hold the iPhone in place while also providing a thermal management gap between the phone and Qi charging head that allows heated air to disperse during charging, extending the device’s battery life. Scosche has also made some significant changes to the vent mounting version with MagicMount Charge3, with a distinct design that can be positioned so as not to impede airflow, with a unique open design and an articulated swing-arm that avoids blocking the vehicle’s vent while also allowing for optimal device positioning for maximum visibility. In addition to the vent mounting version, MagicMount Charge3 is also available in Dash Mount and Window/Dash Mount versions that use Scosche’s StickGrip material to provide for a strong hold, as well as a Double Pivot version that uses Scosche’s StickGrip suction-cup base for even more versatility. MagicMount Charge3 will be available this spring; pricing has not yet been announced.